Regular/private landlords/management companies: Private landlords tend to have housing that costs more, but they also have more capacity for flexibility, if your circumstances are complicated. Many landlords/management companies look for a household income which is approximately 3x the amount of rent. (This isn't something that they have to do; there is no law requiring it. It is true for many landlords, however). Sublets: If you sublet an apartment, it means that you rent from a tenant who originally had a lease for the unit. Most sublets are structured so that the original tenant is still on the hook for the rent and damages, if they go unpaid. For example: the tenant who has Section 8 earns $1000 per month. The rent for their apartment is set at $800 per month. The tenant pays a third of their income towards the rent ($333 each month) and the city pays the rest of the rent that’s owed ($467 each month). Between the two, the landlord receives the full rent of $800 per month. Subsidized / Public Housing: In subsidized housing, the apartment building gets money directly from the government to have low-income people living there at a reduced rate. For subsidized housing (also sometimes known as public housing), people must live in the building that gets government money, and usually tenants pay a price for rent which is about a third of their income. For example: the tenant who gets subsidized housing must live in a building that is subsidized (they don’t have a lot of choice about where to live). So, if someone were to apply to live at Wexford Ridge, and were to receive a spot there, they would have to live at Wexford Ridge to pay the reduced amount of rent, and they can’t take that reduced rent and bring it with them to a new place. In this situation, a tenant who is living there pays about a third of their income each month in rent, directly to the managers of the apartment complex. If a tenant earned $1000 per month, they’d usually pay about $333 per month in rent. Section 42 Housing: This type of housing is usually market rent or close to it (the set rent amount is NOT based on the tenant’s income), but the tenants must be UNDER certain income limits in order to live in Section 42 housing. Units are typically a little nicer than you’d find for the same price in the area. Occasionally, lower income units are available, but never as a percentage of income. For example: Say a tenant was earning $1,000 per month ($12,000 per year, total). They earn under the $33,960 limit, so they’d be allowed to rent at a Section 42 building. Rent for a one-bedroom at the Section 42 unit where they’re living is $845 per month, but because they’re extra financially challenged, they might be able to receive it at $726 per month if the building had low-income units available, though they’d still have to prove that they could afford to pay that amount each month in order to live there. Housing Vacancy List: Each week, our staff puts out a Housing Vacancy List with housing vacancies around the Madison Metro Area. The listings are taken from Craigslist. It contains listing with regular apartments (0+ bedrooms), as well as shares and sublets. All HVL listings have phone numbers. Craigslist: The Madison area's biggest list of available rental housing appears on Craigslist. We've seen scams lately online! Be careful - more info here. Campus Area Housing: Housing near the UW-Madison campus can be found on the Campus Area Housing Listing Service. Many other landlords and management companies: Websites of local landlords and management companies are listed at the bottom of this page. Section 8 vouchers: Unfortunately, all the waiting lists for Section 8 vouchers in Dane County are closed. That means that there's a long wait for folks that are on the list - so long that they aren't even taking new wait-list applications. 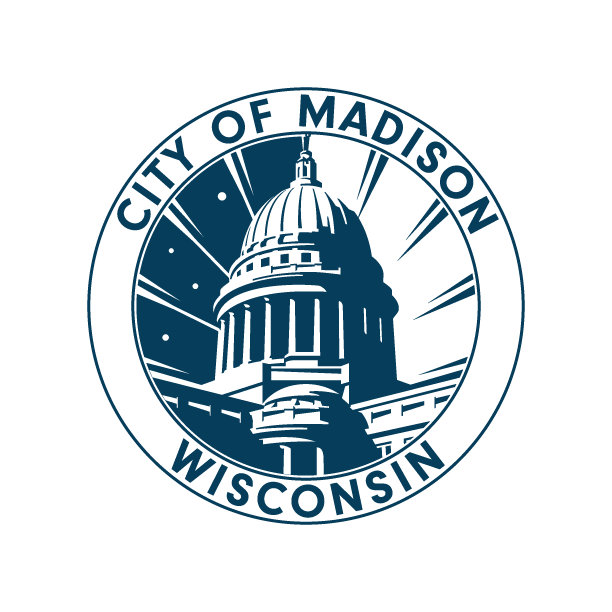 To keep updated, the City of Madison Section 8 page is here, and the Dane County Section 8 page is here (which covers all of Dane Co. minus the City of Madison). Section 42 housing: If you are looking for moderately priced housing in Dane County, then this is the list. This kind of housing typically doesn't allow full-time students to live there, because of HUD funding regulations. Computer access: Most housing searches are online these days. Where can you find public access to computers, to help in your housing search? Libraries are a great option. Here's the link to reserve a computer in a Madison library, if you have a library card. Also, a FAQ about computer use in the Madison libraries. Community Centers often have some computers available for use, or know who you can contact for computer use. Here are some non-library spots around Madison. Craigslist: Craigslist has the biggest online list of rental ads for the main metro areas in Wisconsin. We've seen scams lately online! Be careful - more info here. WHEDA has a state-wide housing search page: http://wihousingsearch.org/ This search includes regular, private management companies/landlords, as well as some Section 42 properties. Here is the list of all Wisconsin public housing agencies. If you go to your public housing agency, you can apply for subsidized or section 8 housing. Most subsidized and section 8 housing has very long waiting lists, sometimes even so long that they are closed to new applicants. The Wisconsin Association of Housing Authorities seems to have a page that lists public housing authority vacancies. What a great idea! Not sure if it's accurate - Madison certainly shouldn't be on that list, yet it is. WHEDA has a Section 8 voucher program for the counties that don't have community housing programs. Here is the explanation page, and here are the places where you can apply.